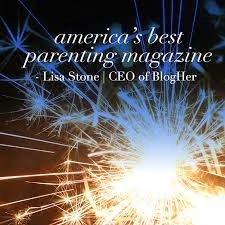 NaBloPoMo Day 3 is in celebration of having my words published in what Lisa Stone, CEO of BlogHer calls, "America's best parenting magazine." I'm thrilled to be published on Mamalode today, and their theme for Movember is aptly, "Men." My essay there "How My Boys Healed Me" tells of how a houseful of four males shed light in the way I once viewed them. I'd be grateful if you clicked over to mamalode, and if you like what you read, please share. To say I am honored and thrilled to be on their pages would be an understatement. Thank you for sharing my work today, mamalode. And thank you to everyone, who shares in my joy today. Such huge congrats! I know this means a lot to you--and Mamalode is so great. Pretty much all I want to do in life is read personal essays that contain real heart. Mamalode fills that need for me. aww do i really have to grow up? cant i still be a boy? ha. ok, so maybe there is some truth in that...smiles. Jocelyn: I know you know how excited I am. Thanks for sharing in my good news! Brian: So exciting, to think of your little boys who will one day be men, and the tremendous stories they'll tell of their father. Beautiful! Just beautiful. You get a hold of our hearts, Alexandra. Oh, and I love being a mum to my boy. He steals my heart over and over. By the way, I tried commenting on one of your earlier posts and it vanished. Crazy internet. Anyway, I just want you to know that I'm here.